Gerber Agri International has been providing global agricultural exports to companies worldwide since 1981. A trusted partner of both global suppliers and customers, we help you navigate dynamic agricultural markets and grow your business. Our international, multilingual team understands customers have unique demands, work environments and cultures. We proactively manage your business by monitoring global protein prices and alerting you of anticipated fluctuations. Skilled in the art of negotiation, we leverage strong industry relationships and trade volume to protect your assets and deliver quality and value. deep knowledge of the protein industry, including historical and projected market performance, market trends, and price fluctuations. 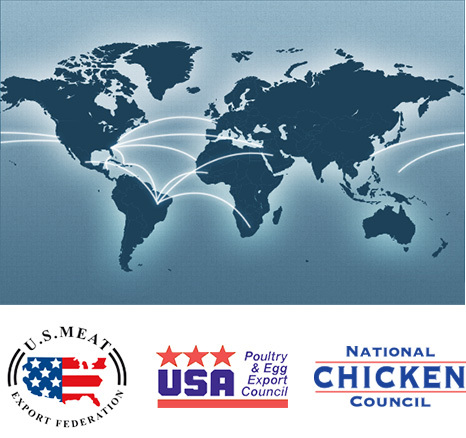 strong relationships with major global protein suppliers and transportation companies. international team of multilingual sales representatives who understand our customers’ unique demands, working environments and cultures. timely deliveries of perishable commodities. customized solutions for each customer’s unique needs. competitive financing for our customer base. As an integral part of the Gerber Goldschmidt Group, founded in 1920, Gerber Agri International has ties with sixteen affiliated offices spread across five continents.